The fact that the Bible is really a collection of books instead of a single book has been obscured since the early days of the church. This is complicated further by the fact that in regards to biblical times we are dealing with a world of scrolls. One scroll could only hold one lengthy book of the Bible (or not even that). Nowadays we have the codex form, which is a bunch of pages stuck together on a spine, pretty standard for the way we do things, but for centuries biblical books were divided up among separate scrolls. So when we pick up our bound copies of the Old and New Testaments these days we are not as inclined to view the good Book as an anthology. But that is probably a reasonable way to approach the Scriptures. Fred B. Craddock, Bandy Distinguished Professor of Preaching and New Testament, Emeritus, at the Candler School of Theology at Emory University, agrees in his book Preaching that the Bible really is an anthology. And the danger of an anthology, as a collection of works by different authors, is that each author’s distinct message, styles, and thoughts tend to be blurred as the reader flips through the pages (116). Now already we may have a problem. I am well-aware that for many Christians there is no distinct message or style according to each book of the Bible. Indeed, for many Christians the Bible is for all practical purposes not an anthology. 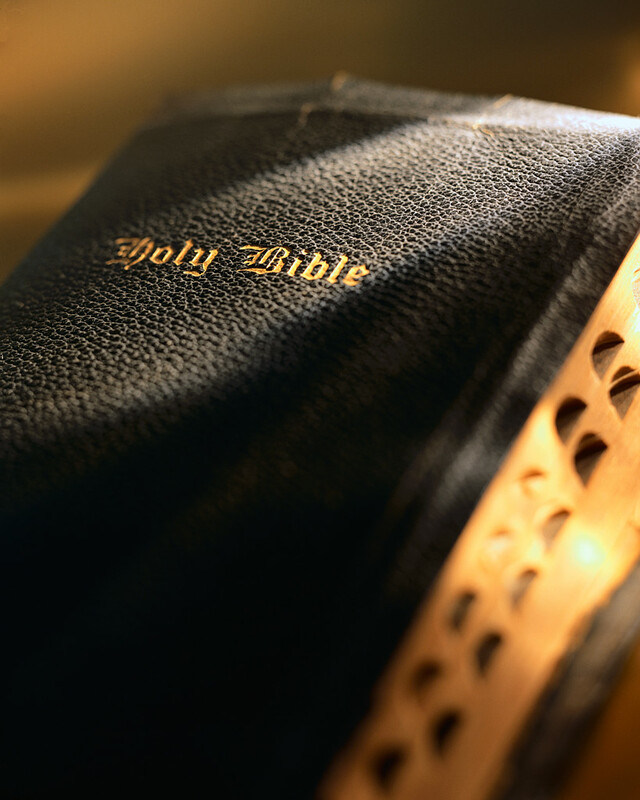 For them it is absolutely and only a single book, with a single clear message on every topic, and if you dare talk about differences among the Gospels, for instance, or within the letters or between the books of Samuel and Kings and the Chronicler’s account–then you are misrepresenting the Bible. However, Craddock points out the truth. Scripture actually does offer “many perspectives” on such topics as “suffering, poverty, eternal life, obedience to civil government, prayer, miracles, or the meaning of Jesus’ death” (117). We don’t respect the Bible by denying its polyvalence and diversity; we in fact do the opposite when we squeeze it into a wholly unified and monolithic mold. And Craddock believes that the Bible should be taught while respecting it in this way. He asserts, one should no more ask “What does the Bible say?” than one would ask “What does the anthology say?” Maybe this a bit hyperbolic on Craddock’s part, but his point is fair. Much of the time a lesson from the Bible on a given topic consists of a bunch of references assembled without regard for their different contexts, i.e., ignoring the fact that we are dealing with different authors addressing different situations. While he acknowledges that “a general unity does characterize the whole canon,” he says that “the tallying of Scripture references in support of a point hardly qualifies as biblical preaching, nor does it honor the integrity of each writer and the ways in which the community of faith has argued with itself over matters of crucial importance” (116). So how does teaching the Bible’s diverse witness go over with the people? Craddock believes that this will not lead to puzzlement; on the contrary, it “will quicken and enrich faith rather than confuse and checkmate at every point” (117). Sounds good to me. In a book on preaching, of course, Craddock’s main concern is with the pulpit. What does this look like, then? “In concrete terms, then, the preacher will respect and seek to share with understanding the fact that Ezra-Nehemiah look differently upon foreigners; that the chronicler and the author of Samuel and Kings have their own assessments of David; that Paul’s call to faith and James’ exhortation to works are not addressed to each other or to the same congregation, but to persons needing different corrections to their life-styles. The preacher will permit John to display the many signs Jesus performed as revelations of God without pressing Mark to change his mind about the demand for signs as the quest of an evil and non-trusting generation. The preacher will listen to both Mark and John tell their stories of Jesus healing the blind without getting into the pulpit the next Sunday and telling them as one story. The preacher will celebrate all the visions and miracles with which Luke fills his two volumes, and yet appreciate Paul’s caution about the whole business, and his inability even to speak of his one ecstatic experience of the third heaven. Nor will the preacher who respects the theological integrity of each writer overstaff the Christmas sermon with all of Luke’s poor shepherds plus Matthew’s rich Wise Men from the East. After all, there will be another Sunday and another sermon” (117). Craddock’s main thesis is one pastors would do well to remember. Rather than to piecemeal a sermon together from authors spanning hundreds, or even a thousand years of written history, let the individual authors who were chosen and inspired by God with their individual personality and emphases be sufficient. Wouldn’t looking at the Bible as an anthology with varying authors and perspectives only heighten our view of Scripture? I believe so.